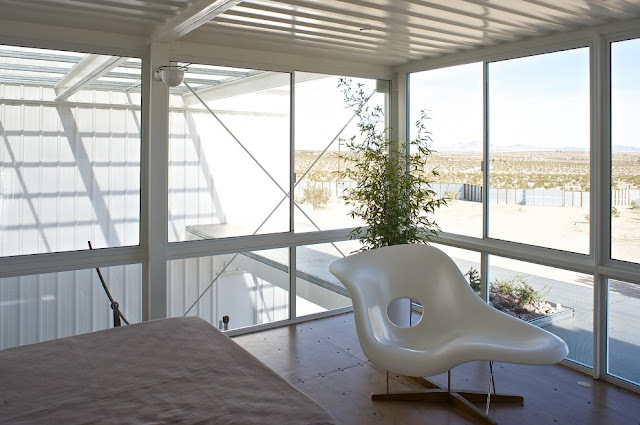 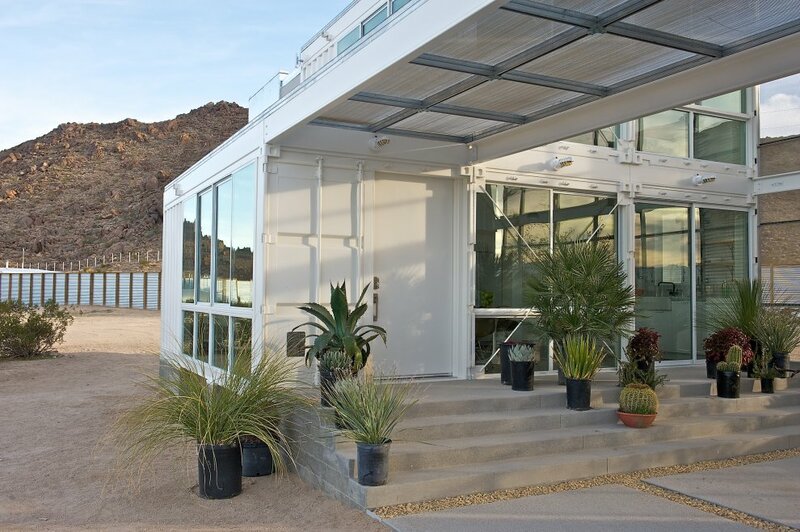 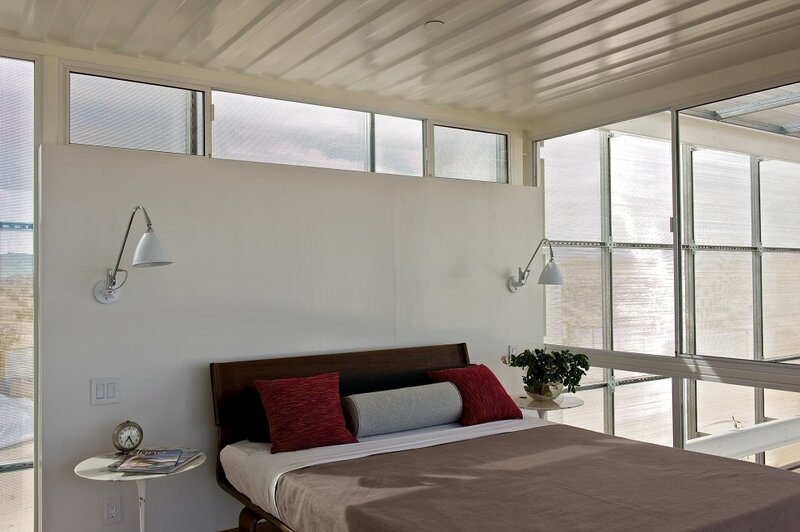 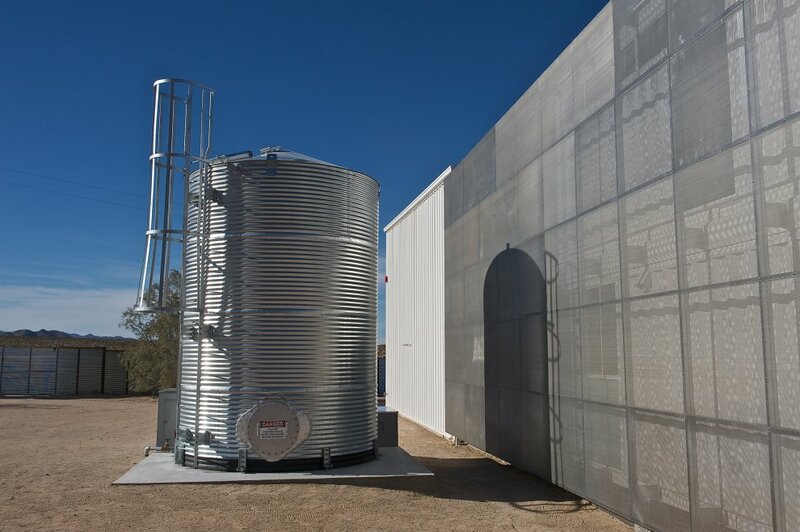 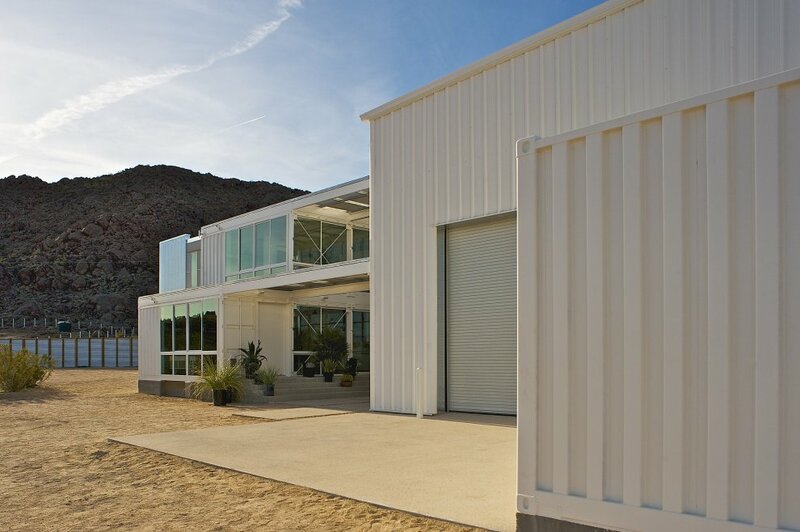 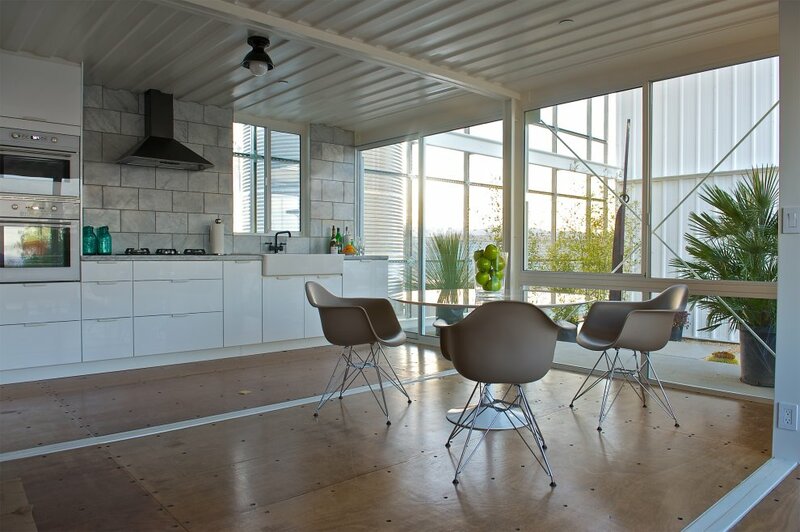 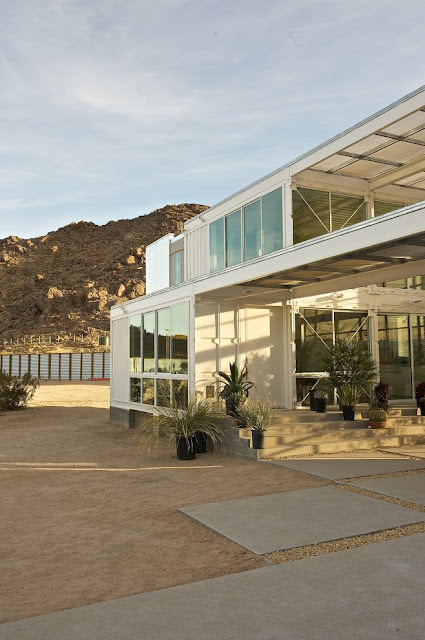 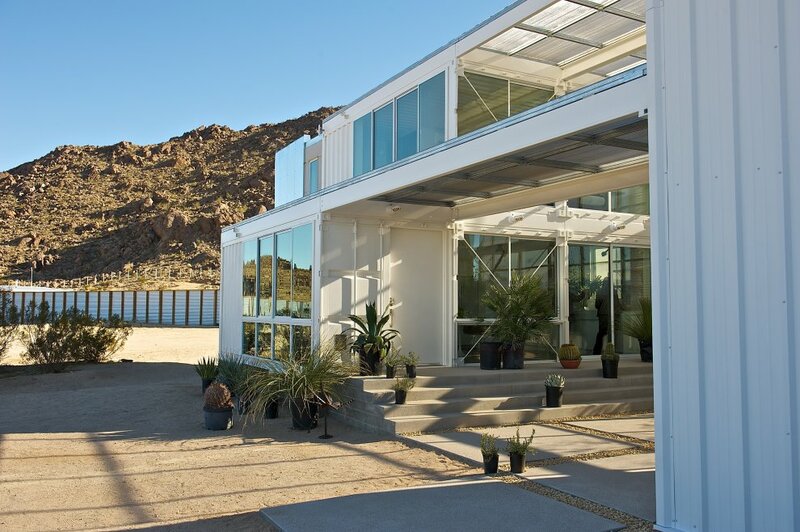 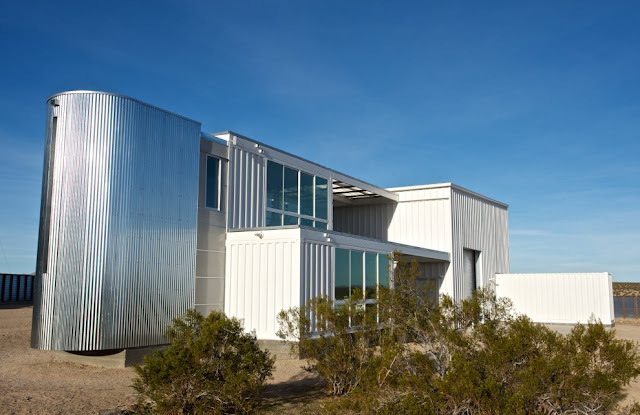 The modular steel container home is composed of diverse steel elements, including: 6 repurposed containers, a 10,000 gallon water tank, a Butler pre-engineered building, and a steel shade canopy with integrated metal framing system that provides wind, fire and earthquake protection, extraordinary strength, as well as large door and window openings to maximize cooling, ventilation, and natural daylighting. 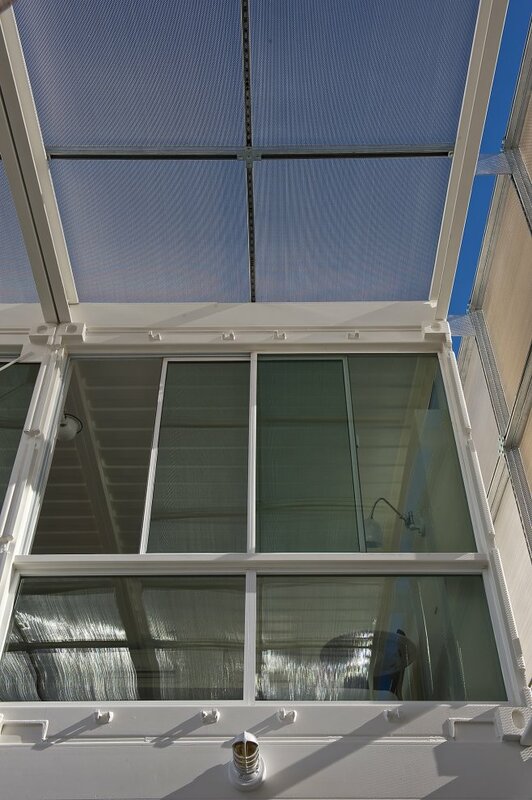 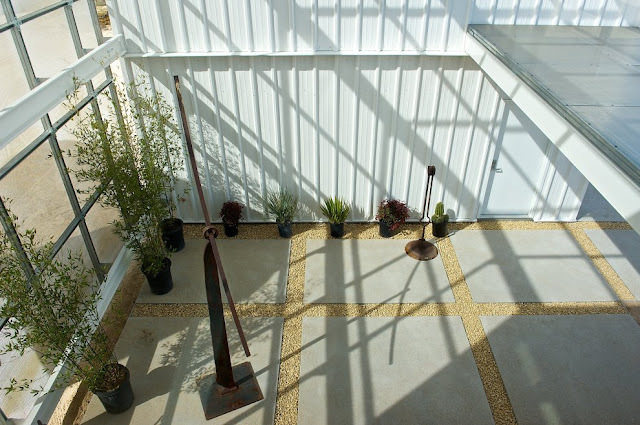 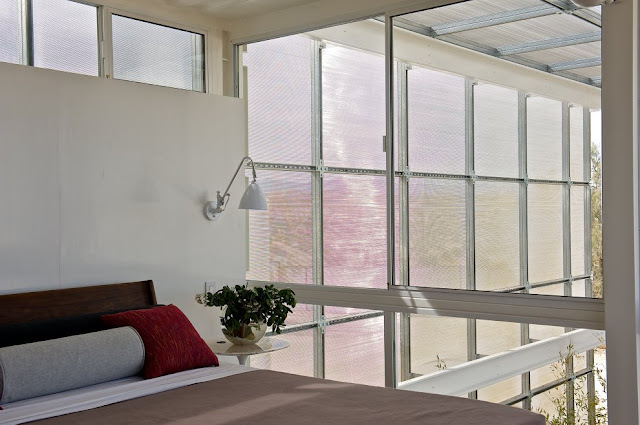 An adjustable, bolt-on shade and steel frame system creates wind, glare and 50% solar heat reduction on the house; solar breezeway creates suitable location for plug-in attachment of future water heating panel and solar electric arrays. 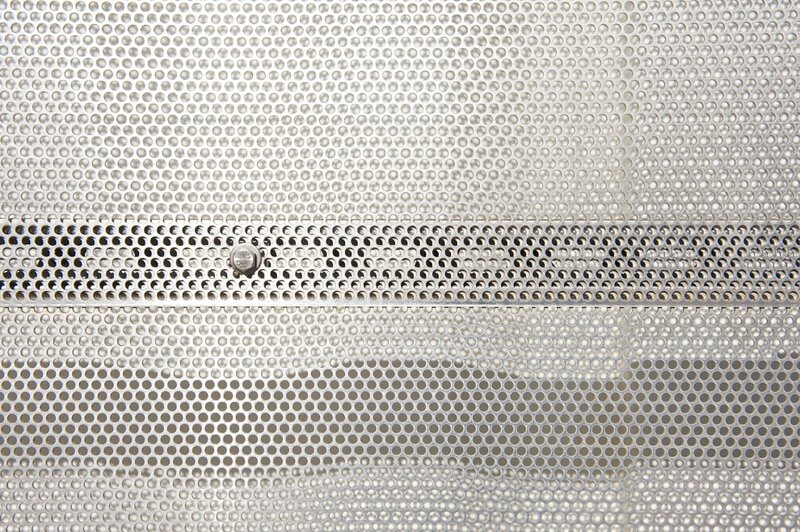 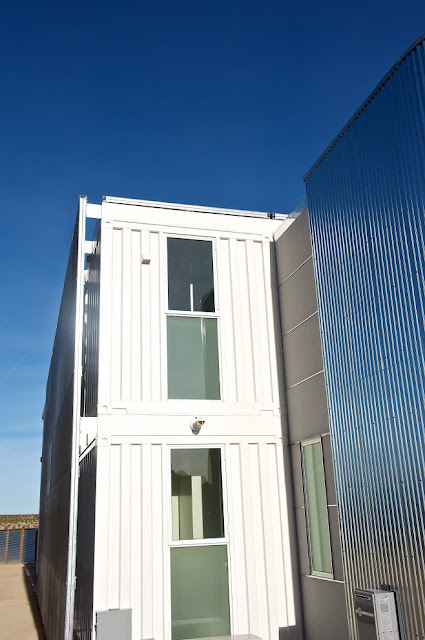 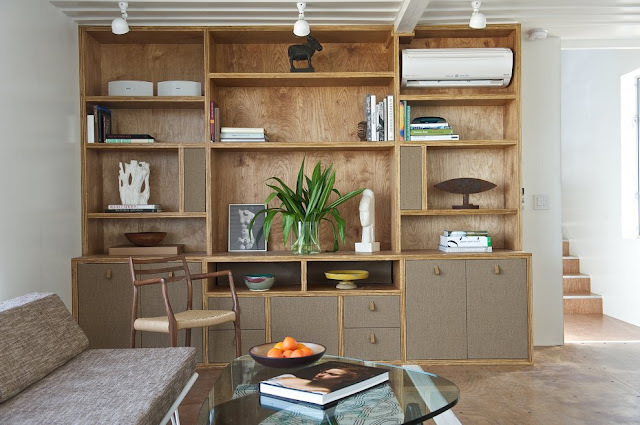 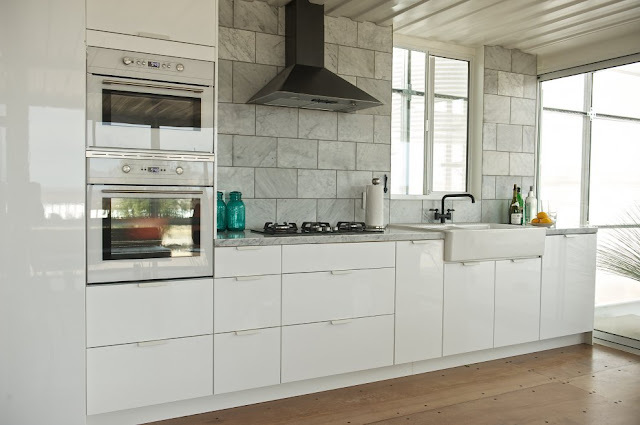 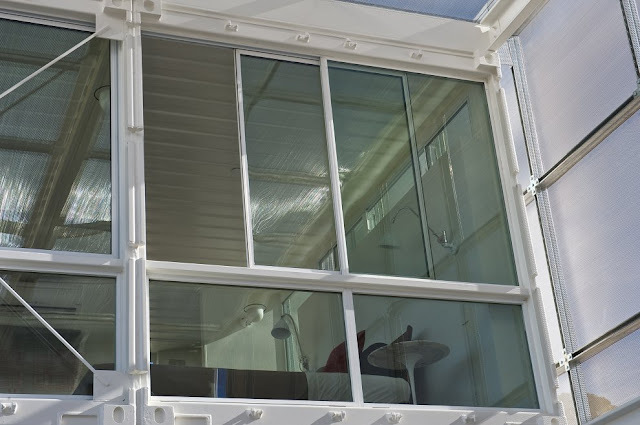 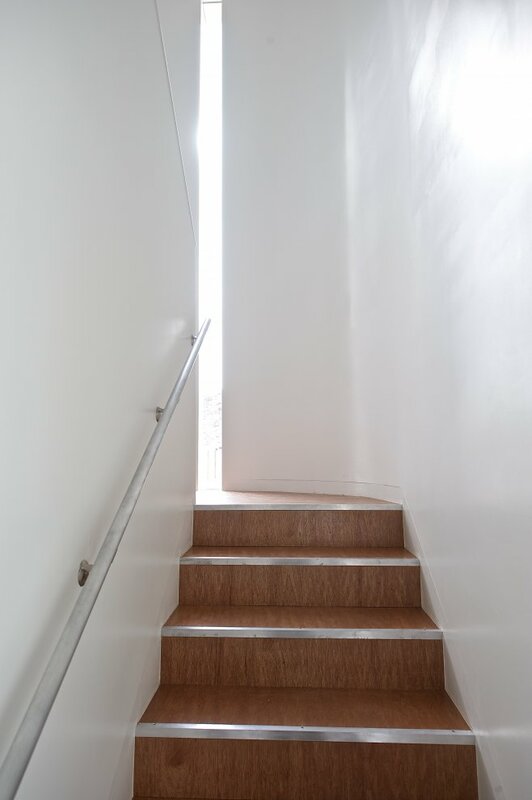 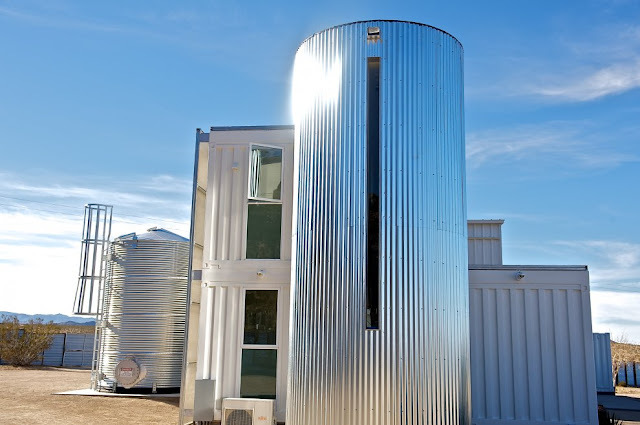 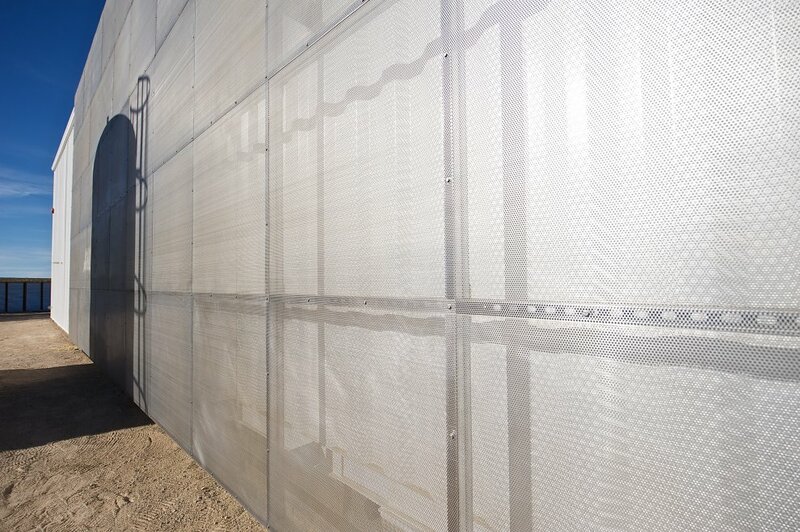 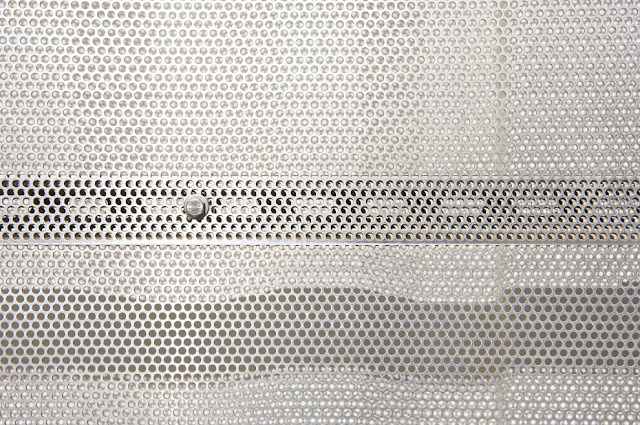 By combining mass-produced and high-efficiency modular construction methods with contemporary innovative design in one of the most harsh climate zones in United States, designers have developed a sustainable and low-cost housing system that can be delivered and quickly assembled anywhere in the world.